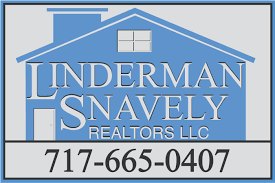 We know that selling your home is a huge step and that the process can seem overwhelming, but with Linderman Snavely Realtors LLC, you’ll never feel left in the dark. Our agents have over 65 years of experience and are here to guide you every step of the way, including tips to prepare your home for sale, determining the right price for your home, and helping you negotiate offers. When it comes to selling your home, our philosophy is to expose your home to the most potential buyers possible to ensure you receive fair market value for your home in a timely manner. With this in mind, we have developed a comprehensive marketing plan that utilizes resources that reach beyond the Multiple Listing Service (MLS). The other component of our philosophy is to keep you informed throughout the entire process and answer any questions you may have along the way. Not sure about selling your home and just looking for information on the home selling process, tips on how to prepare your home for sale, or the current value of your home? Any of our agents are happy to assist you with whatever your needs may be!